1km walking down the hill. Only 4 km away there is an 18-hole golf course. The hotel welcomes groups of artists, musicians and yoga enthusiasts. 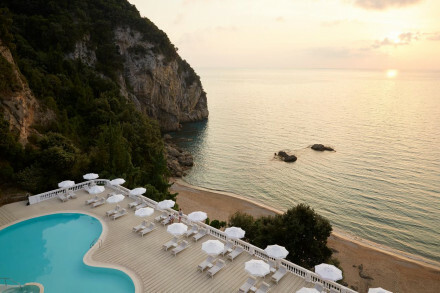 Breathtaking views of the Ionian Sea. Glyfada, Kontogialos, Myrtiotissa, Ermones and Agios Gordios.